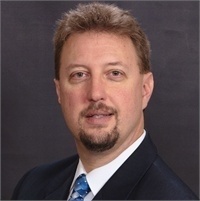 Bernard Martin is an Investment Advisor Representative with LPL Financial, Certified Public Accountant (CPA), and CERTIFIED FINANCIAL PLANNER™ professional with more than 19 years of experience in the financial services industry and more than 26 years of experience in the tax and accounting industry. He specializes in retirement planning and natural gas royalties, largely working with current and former Procter & Gamble and other union employees in northeast Pennsylvania. Bernie first entered the tax and accounting industry in 1990, working as a CPA for seven years with Parente, Randolph, Orlando, & Carey, the largest regional accounting firm in Pennsylvania. In 1997, he entered the financial services industry with Prudential Securities, where he worked for a number of years until he transitioned into independence and founded his own firm, Straightforward Wealth Management LLC in 2002. Today, Bernie offers comprehensive financial and retirement planning services, while incorporating tax strategies. He also offers natural gas tax planning and retirement tax planning through his separate CPA firm. With all of his clients, he incorporates his consulting approach from the accounting profession along with a CPA's obligation to be straightforward and honest in all professional endeavors. Bernie holds the CERTIFIED FINANCIAL PLANNER™ professional, Personal Financial Specialist (PFS), and Certified Public Account (CPA) designations. He received his Bachelor of Science in Accounting from King’s College. Outside of the office, Bernie enjoys golf and spending time with his wife, Donalynn, and their two daughters. Bernie was previously a board member of the Pennsylvania National Association of Royalty Owners (NARO PA), an organization that represents oil and gas royalty owners.